A foundation for masonry success was laid last week when LakewoodAlive hosted its fourth homeowner workshop of 2017. 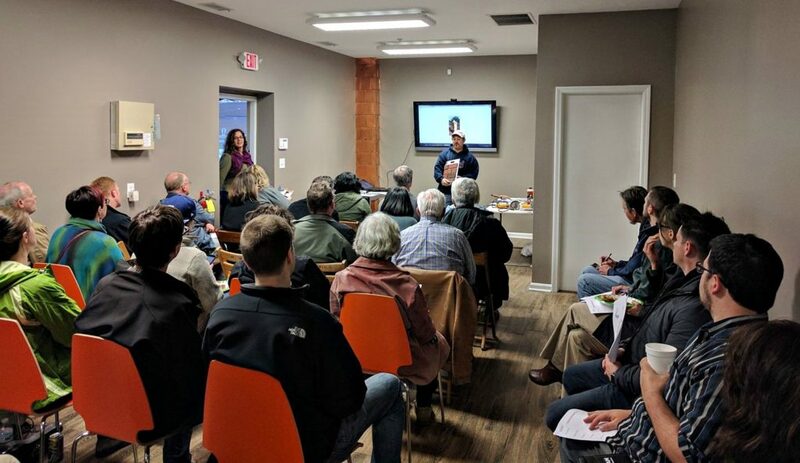 Nearly 40 attendees gathered at 1st Choice Roofing Company on April 6 for our “Knowing Your Home: Masonry Basics” free workshop. Frank Nehls of Nehls Masonry L.L.C. provided a hands-on demonstration regarding masonry. Frank Nehls of Nehls Masonry L.L.C. led a hands-on demonstration tackling the basics of tuckpointing, pointing and repointing masonry bricks and block in foundations and chimneys. This workshop helped equip attendees with insight for determining whether a masonry job qualifies as a DIY opportunity or requires professional assistance. When preparing to engage in tuck pointing, it’s important to make sure that your joints are cleaned out. Take time to dampen and blow them out, as this will help the mortar to bond correctly. 2. Let your masonry breathe. Keeping weather elements off of masonry will help it stay in better condition longer. Masonry needs to breathe – it’s not ideal to seal coat your masonry steps, walls or other brick places. If you do decide to paint, make sure to use a paint that’s specific to masonry, since this paint is designed to allow masonry to breathe. 3. Be mindful of chimney deterioration. If you allow your chimney to deteriorate too far and too much mortar is missing, then you might have to rebuild. Bricks are laid in courses. This is good to know when you’re dealing with a contractor. Bricks are laid in courses; corn is grown in rows. 4. Obtain a frosting knife. Pro-tip: Use a frosting knife that you can buy in the cake decorating aisle of your favorite store. It’s a great way to smooth out mortar, caulk or any other sticky material. This will allow for a smooth finish. Never use rock salt on concrete or masonry steps, as it will deteriorate these materials.